A Classic Case of Madness | "…the lack of sleep and the excess of reading withered his brain, and he went mad." I loved it! I was uncertain about its usefulness, but, boy was it entertaining. I looked up several WEM novels and either gloated or dispaired about my literary “toughness”. In case you were wondering, If on a winter’s night a traveler scores an eight. PS–Shmoop also has a steaminess rating. 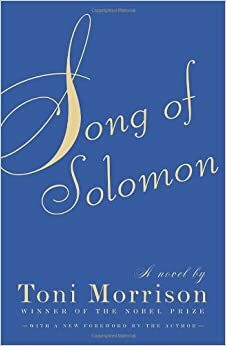 Consider yourself warned; our next book, Song of Solomon, is rated R.
At our last wrap-up, Christina, Jeannette and I took the list WEM novels and placed the the titles we’ve read into two Calvino-inspired categories: Continuity of Life and Inevitablitly of Death. I promised to share our results. We’re always up for a good debate. Looking at my copy’s table of contents, I count ten titled chapters. So how many beginnings are there? ten or eleven? Should I count chapter ? That felt more like a prologue? Should I count chapter ? In twelve I have the beginning of the Reader and Ludmilla’s life together. That could be a beginning, but that same chapter has the conclusion of the story’s illusive novel. Chapter ? There the Reader goes to the book store and the story within a story (many stories) takes off. Ten beginnings? Eleven? Beginnings are just one of the confusing things about this novel. It was complications that drove Christina, Jeannette, and me to do a different kind of wrap-up. Sure we met over food like always, but when it came time to discuss the wrap-up questions, we were stumped. How do you talk about point of view, setting, style, or character obstacles? There are stories within stories within stories! The ultimate meaning to which all stories refer has two faces: the continuity of life, the inevitability of death. All stories? We decided to see about that. With WEM novel list in hand, we thought back over three year’s worth of reading and divided the books we’ve read into two categories: continuity of life and inevitability of death. True, some books ended with the hero and heroine married (Jane Eyre). In some books, they died (Anna Karenina). Sometimes they married and later died (Madame Bovary). Amazingly, we instantly agreed on the placement of about 97% of the titles. After brief debates, we were able to place the remaining 3%, giving us 100% agreement on our results. Think back. Where would you put Don Quixote? The Scarlet Letter? The Adventures of Huckleberry Finn? 1984? Consider where you’d place each of the WEM novels we’ve read so far. Start with Don Quixote and end with If on a winter’s night a traveler. I’ll share the Classic Case of Madness results soon. Put some thought into placing the novels. Remember…tt’s a matter of life and death. If you could have any superpower, which one would you choose? Invisibility? Flight? X-ray vision? Oh, for the power to erase. Cat fur off the dining room chairs. Dirty dishes off the kitchen counter. Ah, but would the power be used for good or for evil? In Calvino’s beginning number ten the main character tidies up his surroundings. With the jumbo pink eraser of his mind, he rubs out everything he does not wish to see: uniformed workers, hospitals, universities… He erases until there’s nothing left but the surface of the earth and the wind which blows trash across the ground. In the trash is a page from Calvino’s previous beginning “Around an empty grave”. Although the main character eliminates everything and everyone, he would like to see his love interest Franziska. When he finds her, she’s surrounded by Men from Section D that won’t be erased. Franziska is clueless to the disappearing world around her. The Men from Section D are completely aware, and they congratulate the main character on his clean sweep. When eraser man wants to repair the damage he’s done, he’s unable to and a giant crack in the earth separates him from Franziska. Is he able to leap to be with her? There’s no surprise that this is where the beginning ends. What do you think? Is there a happy ending for eraser man and Franziska? Or like One Hundred Years of Solitude, is this the end of the end? Instead of swirling winds, the community is destroyed by the power of a character’s mind. It would only be fitting in that it’s an author’s mind that creates/destroys a story. Will a library save the Reader? The Reader’s ten titles are all lost, or out for repairs, or checked out. Not a single book is available. While at the library, eight readers share their theories about reading. Did you have a favorite? Then there is the magical moment when the titles of the previous tales are linked together to make a sentence. Jeannette wasn’t surprised; she’d already predicted this outcome, but I was. I had to page back through the chapter headings to read for myself. Is this just a tale of tales? Did the Reader find the complete story? What was your reaction to Calvino’s experiment? Tags: If on a winter's night a traveler, If on a winter's night a traveler Chapter 12, If on a winter's night a traveler Chapter , Italo Calvino, What story down there awaits its end? Playing the part of the mysterious stranger who follows Nacho would be pretty good too. Riding my horse on the opposite side of the chasm, refusing to answer Nacho, and pointing my gun at him make for a dramatic scene. Would it be more fun to play Anacleta Higueras or Doña Jazmina? Agreeing to completing a secret mission gets the Reader out of prison. Banned books and censorship are the focus of this chapter. Marana’s work was inspired by Ludmilla–or rather the desire to prove to her that there is nothing behind the text of a novel. But Marana was unable to do this and was allowed to escape the country. The Reader would like to finish at least one tale and creates a plan to intercept the rest of “Around an empty grave” before Porphyrich can. The Reader meets Anatolin who gives him a few pages at a time, but before the Reader receives the complete novel, Anatolin is arrested. I can’t do it. I can’t talk about beginning number eight: Calvino’s Japanese story. The other thought I had was that the titled chapters of Calvino’s novel would make great names for jazz band pieces. Don’t you agree? “If on a winter’s night a traveler”, “Outside the town of Malbork”, “Leaning from the steep slope”— I can hear the brass section now. Ooo “Without fear of wind or vertigo” would have tons of percussion. “Looks down in the gathering shadow” could be for a trio: piano, set, and upright bass. If Modest Mussorgsky could write Pictures at an Exhibition based on Viktor Hartmann’s artwork , surely some jazz composer could do the same with Calvino’s classic. The movement depicting “On the carpet of leaves…” may need to come with a parental advisory warning. This chapter is a return to “cloak and dagger” with double agents and costume changes. “On a carpet of leaves illuminated by the moon” is confiscated from the Reader. Corinna (who looks like Lotaria, later turns out to be Gertrude, Ingrid, Alfonsina, Sheila, and Capt. Alexandra, but who really is Lortaria ) gives him a replacement title that’s not a replacement because it’s a different story entirely. Will our Reader have literary luck in beginning number seven? Nope. He begins a book by Flannery but it’s a different title and different book. Once again, the Reader thinks he knows what to expect but is fooled. “In a network of lines that intersect” is about a successful kaleidoscope-collecting businessman who creates a cunning and complicated plan to avoid being kidnapped. Meetings with false mistresses cover the meetings with his real mistress, Lorna, from his wife, Elfrida. The decoy kidnappings do not protect the business man from being abducted. By whom? 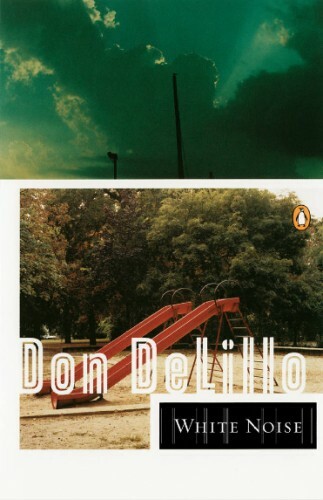 “How many years has it been since I could allow myself some disinterested reading? How many years has it been since I could abandon myself to a book written by another, with no relation to what I must write myself? Preach it Flannery. I mean, Calvino. Could it be that Flannery, I mean, Calvino would disapprove of the WEM wrap-up questions?